Doctor Who: "The Waters Of Mars"
This one, on the other hand, gave me little about which to complain. It’s witty and scary. It explores a philosophical conundrum at the heart of Davies-era Who. And it ends with a moment that casts our Time Lord hero in a darker light than we’ve seen him in before. Yet the moment also feels consistent with everything that’s happened up to that point. But I’m getting ahead of the episode. Let’s double back. Dateline: Mars, 2059. The Doctor, now living a companion-free lifestyle, arrives to find he’s stumbled upon the first human settlement, famed for opening up a new age of space exploration and also, well, dying a tragic, mysterious death. This leaves him at once thrilled and confused. Thrilled, as one of the universe’s biggest fans of human achievement, to be witness to one of its defining events. Confused because the end is near and there’s nothing he can do about it. Or nothing he can do about it without screwing up history. “It’s one of those very rare times when I’ve got no choice,” he says. The last day of Bowie Base One is one such fixed moment, a catastrophe that prevents the cataclysm that would have resulted should one of Mars’ water vampires had made it to Earth. And Earth, after a series of catastrophes stemming from the problems of our own moment, has just now started to find its feet again. It’s post-racism, post-sexism, post-homophobia, post-environmental abuse. But it’s still recognizable as our own planet, a place of passion and quirky personalities. It is, in other words, the sort of world Davies might will into being. An even lower-budget transformation drives the episode. The Doctor begins the episode in a typically chipper mood—even stating his intention as “Fun”—then fades as a realizes what he’s gotten himself into. What does the cosmos’ most indefatigable optimist due in the middle of a tragedy he can’t prevent? He keeps trying to exit, stage left, but gets drawn back to his impulse to help those he meets. That he also forms a nice, respectful bond with Capt. Adelaide Brooke, nicely played by Rome’s Lindsay Duncan, only further complicates matters. But ultimately he has no choice but to walk away. It’s a fixed moment, after all. Yet walking away is not in his nature. If there’s a defining moment in the Davies-era Doctor Who it’s the “Everybody lives!” exclamation from “The Doctor Dances.” His is a Doctor who saves the day. The moments he can’t do that haunt him, but they’ve never resulted from him leaving those in need. In the end, he can’t do that here, either. I honestly thought Davies was going to make this episode’s final act a disaster playing out as The Doctor just keeps on walking. 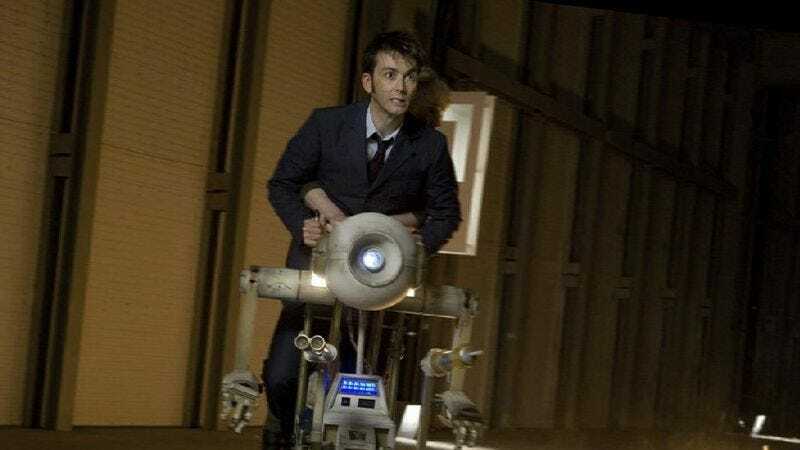 That’s not in The Doctor’s nature, however, and the Mars adventure ends with another last-minute rescue and it’s a thrill to watch Tennant swing into action again. Huzzah! Except the heroism comes with consequences. 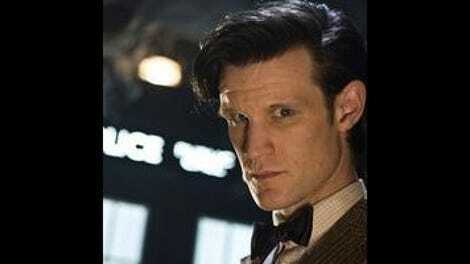 Realizing he’s successfully disrupted one of history’s fixed moments changes something about the Doctor’s psyche. He begins speaking openly about “little people” and what his powers as “Time Lord Victorious” might allow. Adelaide senses something terrible has happened and that something terrible has stirred in her new friend. And the Doctor recognizes it too. I can’t say enough about how great David Tennant is in this episode, which exercises all the muscles he’s previously used in his performance and some we haven’t yet seen. In the end, he’s torn between the seemingly unlimited possibilities of using his powers without restraint and the fatalism of the four knocks prophecy. We’re almost full-circle now and Tennant lets us know we’re going somewhere we haven’t been before. That said, this isn’t a perfect episode. Like the previous specials, it feels a bit too much like a regular episode with a bit too much padding. There’s not quite enough story here for 60+ minutes. Then again, I doubt that will be a problem with the two-part conclusion, about which I know only that it looks to feature every major character that’s been in the series this decade. Can Davies wind it up in just two more installments? I’m looking forward to finding out. • “The End Of Time” airs next week, on December 26th. I’ll probably not be able to cover it myself, but I’ll be back to tie things up January 2. • The final scene’s a bit like a reverse It’s A Wonderful Life, isn’t it? Merry Christmas one and all. Zap.